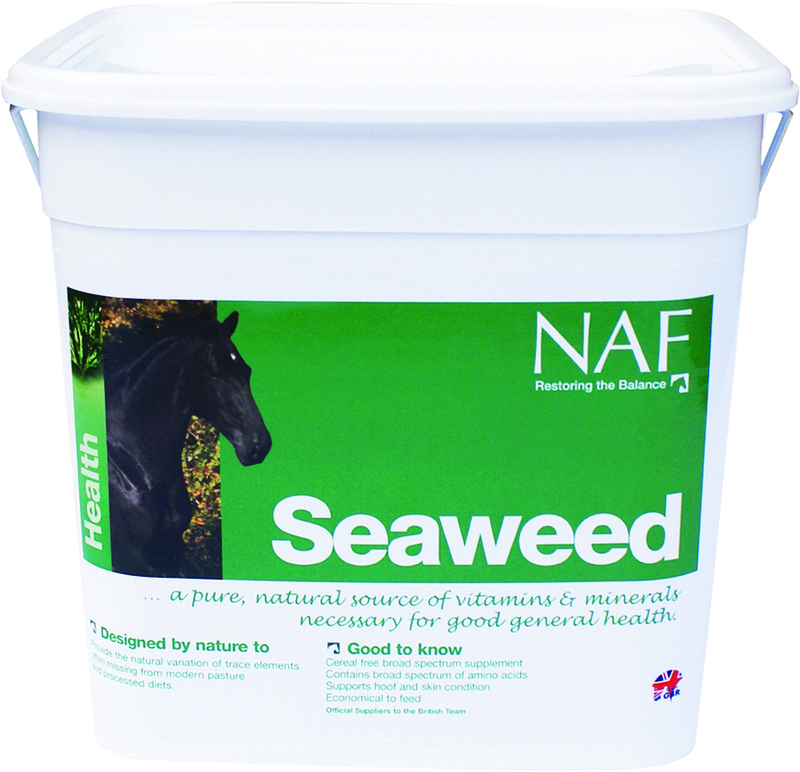 NAF Seaweed contains a broad spectrum of natural vitamins; minerals & trace elements. It also promotes strong hooves & a shiny coat. It is even suitable for wheat-intolerant horses. NAF Seaweed contains organic seaweed from Scotland, which is guaranteed to be free from heavy metal contamination. Warning- Do not feed to mares in the last 4 months of pregnancy. Feeding Instructions Horses- Give 50g daily Ponies- Give 25-50g daily 2kg will last a horse up to 40 days & a pony up to 80 days 10kg will last a horse up to 200 days & a pony up to 400 days NAF is part of the BETA NOPS scheme.